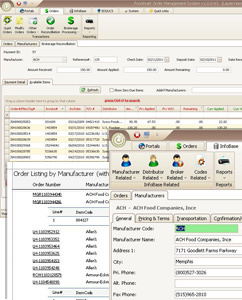 With over 30 years of Food Service Order Management experience, we know how to do it right so you can easily and accurately processes orders with the touch of a button. It is all about seamless integration with your trading partners and sales force. Your manufacturer and distributor partners receive error free transactional data and your sales team gets instant access to the essential data they need. Frees up your budget to hire more sales staff because the hardware investment and maintenance is done on our end. Call us today at 716-819-6600 for a free demo of our software and to discuss how we can help you.